→Have Allergies? Mite-Proof Fabrics Could Be Your Next Best Friend! A lot of people around the world have asthma or other forms of allergies. Most of them suffer from symptoms like a runny nose, itchy eyes, sneezing, difficulty breathing and chest tightness during a flare-up. 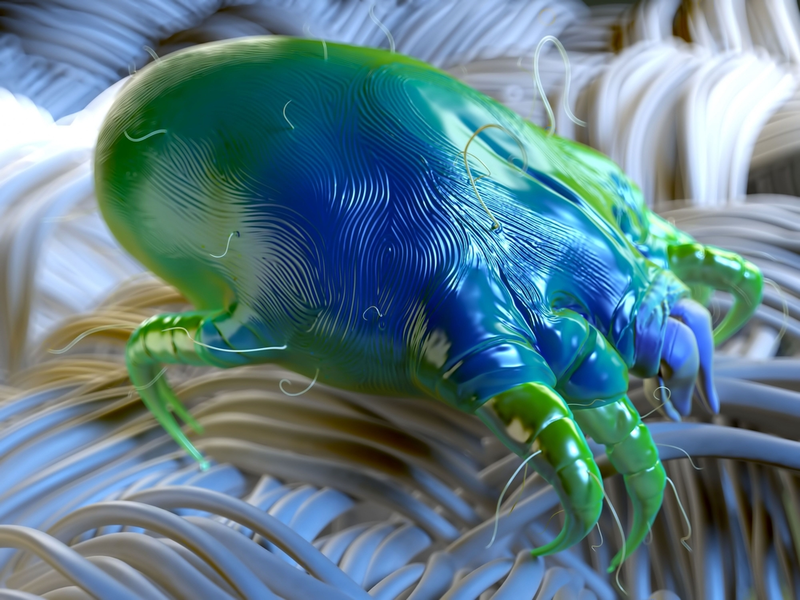 The main culprit of which are small creatures, measuring only around one-third of a millimeter, known as dust mites. Which Fabric Is Dust Mite Proof? Aside from the dust within our homes, we breathe in waste from these tiny creatures. Their droppings have enzymes known as proteases, which causes allergic reactions in the human body. Their feces disintegrate into tiny particles, and when stirred up, they can easily enter the mucous membranes through the respiratory tract. These little arachnids like to stay in upholstered furniture, duvets, and carpets. Dust mites are quite hard to remove because they can readily pass through very small openings in fabrics. Fabric is largely presumed as being one of the main mechanisms by which dust mites are distributed among different locations in homes, yet only a few numbers of researches have investigated the capacity with which type of fabric serve as vectors for their multiplication and dispersal. A lot of companies would say that their products are “mite-proof” but very few have been tested to prove such properties. To address this problem, some experts from different parts of the world tried testing different fabrics to report on their efficacy and safety. In one study conducted by Clarke et. al from the National University of Ireland, they seeded 480 samples of car seat materials with dust mites and exposed them to contact with three kinds of fabrics – fleece, denim, and plain woven cotton. Each type of fabric was subjected to contact with the car seat material under 2 varying forces, 50 Newtons and 75 Newtons, to mimic the weight of a kid and an adult respectively. These were done twice at different time periods – 3 seconds and 20 minutes. Results showed that fleece has transferred the most number of dead and live dust mites, followed by denim. Cotton appears to have the least transfer rate. Clarke and his team also indicated that there was a difference between the transfer rates based on the applied forces. The greater the force is, the more mites are being transferred. But of course, this study has its own limitations. In a natural setting, relative humidity and food availability will both play a huge factor. Also, only 2 types of fabrics were used in this research. In another clinical study, the researchers looked at the effectiveness of 53 anti-dust mite pillowcases purchased from 10 different nations. The main objective was to help manufacturers produce medical textiles or fabrics that are of great quality and to inform consumers about the standards when reviewing anti-mite product information or labels. Different fabrics were investigated to see how they can block the movement of allergens and stop the penetration of live mites and dust leakage while maintaining air permeability for comfort. Each fabric was tested several times using established clinical methods. Results showed that plastic and some tightly woven covers have completely prevented penetration of dust mites and blocked 99% of allergen movement through the fabric. Based on the results of this study, the researches have come up with good recommendations. Tightly woven fabrics are made using a twisted cotton and synthetic fibers arranged perpendicularly against each other to form a strong and unique weaving pattern. 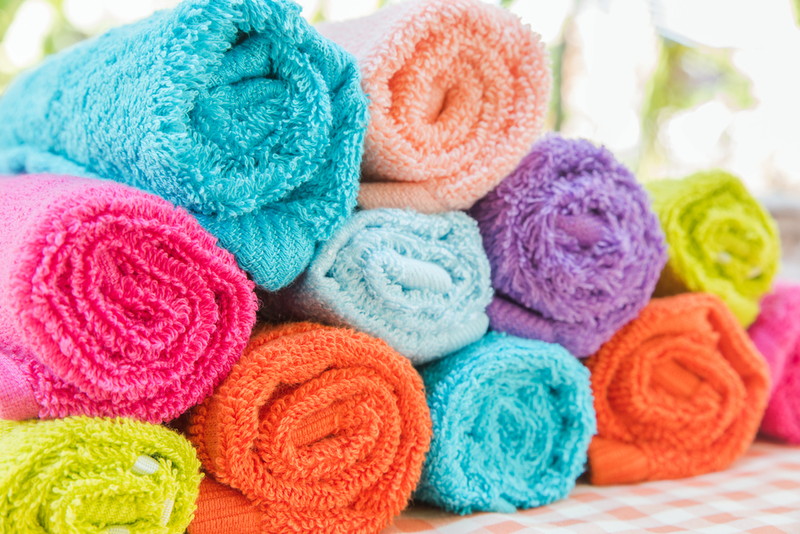 To block dust mites, one must choose a thread count greater than 246 per square inch. Tightly woven fabrics can also be measured by pore size. A size between 2-10 m is good enough to block dust mites and other types of allergens. A study was done at the University of Virginia Asthma and Allergic Diseases Center in Charlottesville, VA also proved that tightly woven fabrics and non-woven synthetic fabrics can block indoor allergens while still allowing airflow. These study findings indicate that fabric type can have important implications for the colonization of house dust mites and possibly other allergens. However, not all types of fabrics were included in these studies and there are still a lot of limitations. These leave scope for further investigations. Studies should also touch on evidence of wear and tear following months of laundering and use. How long can an anti-mite fabric keep its efficacy? Scientists in Poland say that they have now successfully tested cloth that dust mites cannot pass through. The new fabric is being developed at the Medical University of Lodz in Poland. According to them, allergy sufferers who tested the cloth were able to sleep normally and that their symptoms were reduced by 70%. Researchers also mentioned that washing did not reduce the cloth’s anti-allergic quality. With just a few more testing, it will soon be out in the market. Another new bio-functional fabric was also found effective against dust mites. Permethrin is a widely used substance for treating textiles against mites. But, the neurotoxin may likewise cause side effects in humans. 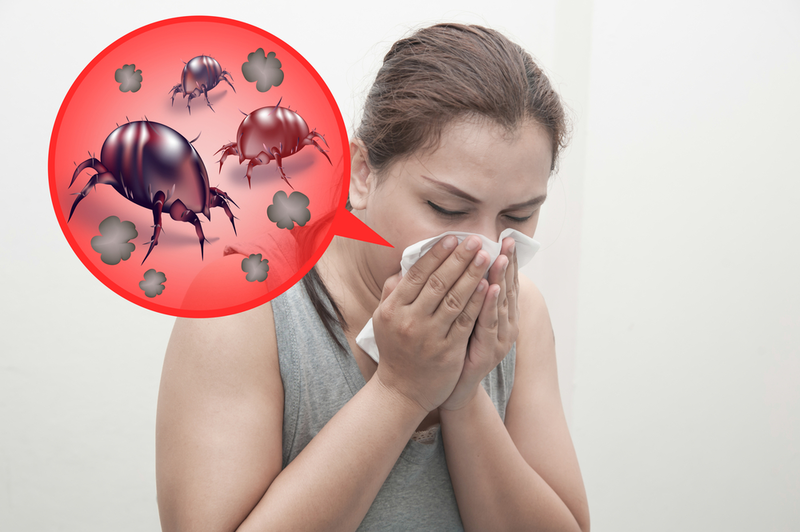 This can help manufacturers develop optimized beddings and other home textiles to help reduce the symptoms of dust mite allergy. Do not over stuff your house with furniture. You must be able to go around and access all areas of your room to clean it well. Remove all dirt and debris regularly. Regular cleaning is important to keep allergens to a minimum. It is recommended to have bare floors as they can be cleaned easily. Rugs and carpets are known to be good repositories of dirt and dust mites. High piles of carpets are even worst. Dust mites settle into the fibers making it hard to get rid of completely unless you use high-quality vacuums. Blinds seem to be the best window treatment to secure an allergy free environment inside your home, but not the accordion pleated type. Metal Venetian blinds are highly recommended. Wood blinds can also harbor dust mites. If you still want to use curtains, choose light cotton fabrics. These have the advantage of being easily washed to get rid of dirt and mites. Choose synthetic or polyester pillows and wash them monthly in hot water. It is highly recommended that you change your pillows every year. Always use dust mite proof pillow and bed covers. Check for tears regularly and replace immediately if damaged. Do not use kapok, feathered, or wool covers. Avoid putting bookcases in the bedroom. Try not to buy a lot of stuffed toys and knickknacks. Those that can be washed monthly are highly advisable. Store your clothes in drawers or closets and always keep the area under the bed clean. Choose wood and leather furniture, if possible, instead of upholstered furniture. Try to maintain a humidity level of less than 35 percent to halt dust mite growth.